Review copies were received from the publisher. This does not affect the contents of my review and all opinions are my own. House of Furies opens with an introduction Louisa Ditton, a seventeen-year-old girl who accepts a maid position at a boarding house in order to escape a harsh life on the streets. Shortly after her arrival at her new job though, Louisa begins to realize with growing dread that there’s something seriously wrong with Coldthistle House. As it turns out, guests who come to stay within its walls are judged for their past crimes, with harsh punishments carried out by the house’s mysterious owner Mr. Morningside and his unnatural staff. However, among the lodgers is young man named Lee Brimble, whom Louisa can tell is not like Coldthistle’s other guests. Desperate to save her new friend, our protagonist knows she must find a way for both of them to escape this nightmare place before it can trap them in. 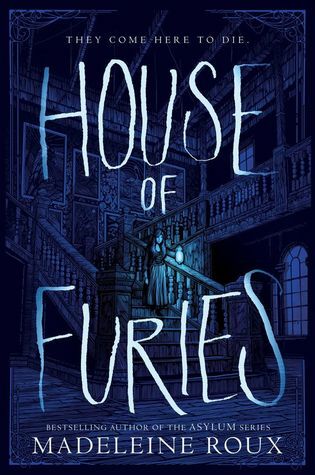 For a YA horror novel, there’s surprisingly little to say about House of Furies. In part, this had to do with the fact that its plot was on the simpler, sparser side. As well, a scene or two featuring some blood and gore aside, there’s really nothing too scary about this book, which relies more heavily on the slow-building atmosphere typical of gothic horror. Louisa herself was a complicated protagonist, whom I found hard to like at first because of the fact she was a selfish and manipulative thief, but ultimately I was able to come around to some of her more admirable traits, such as her courage and determination to help Lee. While it’s not a bad book, I think a weak start coupled with uneven pacing probably held this one back from being truly great. Still, the story did have a very interesting premise, and it was a fun read overall. It might be worthwhile if you’re in the mood for a quick shot of YA horror, though at the end of the day I have my doubts that either its plot or characters would stay with me for very long. In Dreamfall, a group of teenagers are signed up for an experimental study that is supposed to help treat their individual sleep disorders, which range from chronic insomnia to debilitating night terrors. However, the equipment hooked up to the teens ends up malfunctioning during the trial and the seven of them fall into comas—or at least, that’s what it looks like to the researchers overseeing the project. In reality though, they’re all dreaming, trapped in one nightmare together. Worse, they’re being hunted by their deepest fears come to life, and in this dream you’ll never wake up if you die. Unfortunately, books like this one remind me of why most YA horror doesn’t work for me these days. As much as I wanted to like it because of its compelling blurb, Dreamfall reads like a made-for-TV movie complete with all the thriller clichés and teen drama archetypes. What makes this even more of a shame is that I sense a sincere attempt from the author to make her cast diverse, but none of it really matters in the end because most of the characters are so easily forgotten and expendable. The multi-narrator format that was intended to give us a well-rounded picture of everyone also meant the focus was diluted and no one stood out, and from there things went downhill. After all, I can’t bring myself to enjoy a story unless I first care about the people involved; without that as a basic foundation, everything else just becomes an empty experience. Still, I don’t want to make it sound like I hated the book, because at the very least the plot was fast-paced and fun. However, apart from maybe that twist ending, Dreamfall was entirely unmemorable. It’s only been a day since I finished the book and I’ve already forgotten half the characters’ names, so I very much doubt I’ll be continuing with this series despite things finally getting interesting in the last couple chapters. There are plenty more other books I need to get to on my YA shelf. Too bad Dreamfall wasn’t more memorable, as it does have kind of an interesting premise. I can see though where it might fall into a YA horror rut, especially if the characters weren’t great. Yeah I zoned out for a lot of it, even in the beginning. Should have been my warning right there. 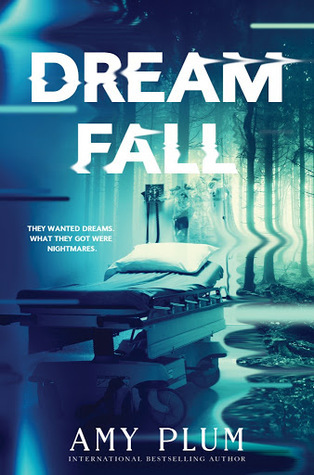 When you started writing about Dream Fall, my initial thought was “this storyline is lifted wholesale from the Nightmare on Elm Street” movies. Agreed. The “dying in the dream equals dying in real life” thing has been done to death. I don’t think the author made the scenario different enough to make readers not immediately think Freddy Krueger. Ha, “Done to death”. Nice one! I’m surprised by your review. The book sounded scary but doesn’t seem to hold up. Such a disappointment when the book doesn’t seem to hold up. Agreed, I was disappointed because it wasn’t scary at all. It sounded like it had so much potential too, such a shame. Mmmmm…. When the details of a book start fading after less than a day, it’s never a good sign… And it’s a pity, because the premise is an intriguing one. Yeah the book was entirely forgettable. At least a book I hate would get to me feel something. This one just left me cold. Yeah, life is too short for meh books. There are better YA books out there. Yeah, not for me – thanks for the honest reviews. I’ll steer clear. I’m excited to see your review of House of Furies. I don’t read a lot of YA horror, but that particular book has been on the TBR list. It sounds like one I could pass on.